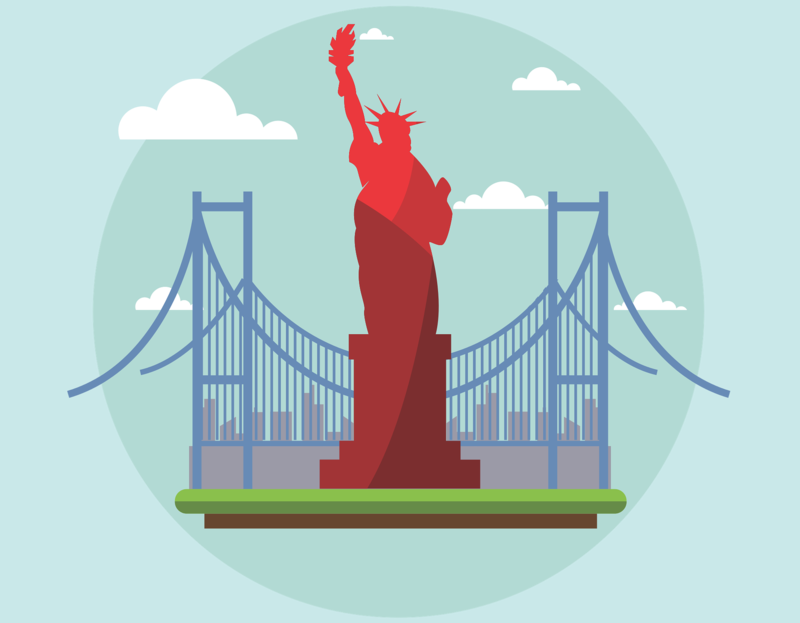 Naturalization—the process by which an immigrant becomes a U.S. citizen—brings considerable economic benefits at the individual, regional, and national levels. Naturalized immigrants earn 8-11% more in annual income than non-naturalized immigrants (controlling for variables such as skills, education and fluency in English), suggesting that naturalization leads to better-paying jobs by signaling to employers that a given immigrant has strong English language skills and a long-term commitment to live and work in the United States. Note: This report is a condensed version of our more comprehensive analysis, “The State of New American Citizenship.” The full report includes a closer inspection of national trends, as well as the likelihood of obtaining U.S. citizenship in various metro areas, the relationship between immigrants’ region of origin and naturalization rate, and more. A Spanish version of this post is also available. Some cities have 4 or 5 government field offices where immigrants can attend their citizenship interviews; other cities have none and make immigrants travel over 150 miles to the nearest field office. The worst 3 government offices handling citizenship applications least efficiently are in St. Paul, Minnesota; Miami, Florida; and Houston, Texas. The maximum wait time in the St. Paul office is now almost two years. For example, immigrants in the Cleveland area enjoy the shortest application processing time in the nation (4 months), among the highest backlog completion rates (over 71%), and a USCIS field office in town. Relative to other metro areas, Cleveland—at 95 points—is as good as it gets across all of these weighted factors, and it earns the #1 spot on the index. These field offices are not distributed evenly by immigrant population—for example, while the New York, Los Angeles, and Miami metro areas each have 4–5 field offices, some states (such as Illinois and Colorado) have only one field office to serve all of their cities. And some cities with a sizable citizenship-eligible population, such as McAllen, Texas or Bakersfield, California, have no field office at all. Some field offices are outliers in other ways, as well. The field offices in West Palm Beach; Orlando; Imperial, California; Omaha, Nebraska; and Fort Myers, Florida all denied citizenship applications at nearly twice the national average rate. Why this would be is beyond the scope of this report.